Stamps are a great time saver and can be made in a variety of sizes and styles. 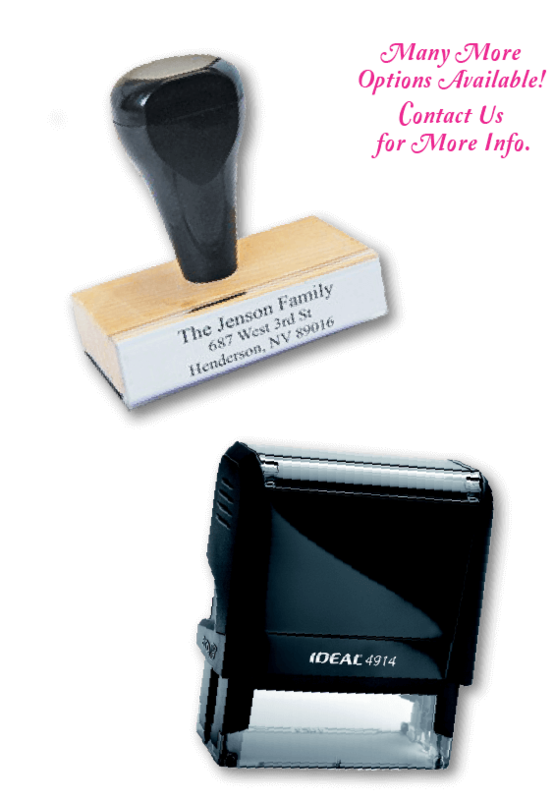 Self-inking stamps have a built in ink pad in a variety of colors that can be re-inked as needed. Handle mounted rubber stamps require a separate ink pad. We also have custom daters and embossers. Additional fees for advanced artwork.